"Sometimes I like to give really simple gifts. After my husband and I traveled to Japan last February, it wasn't unusual for me to give someone a package of bath salts or a kitchen sponge (yes, in Japan, even the kitchen sponges are delightful!). In a thoughtfully handmade package, even the most humble gifts are meaningful and important. 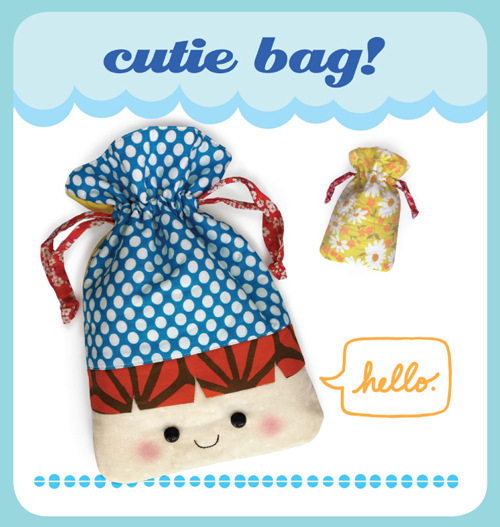 With the holidays approaching, make up one or two of these cutie bags now, and see which gifts get the most attention under the tree!"